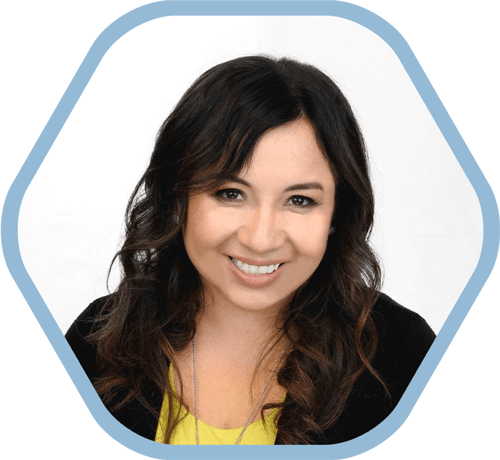 Claudia is a published author in key industry publications, a sought-after speaker, an inventor with patents-pending, a mother of two, a mentor and a philanthropist. She was recently invited to participate in a round table discussion with the Trump Administration at the White House to advocate on behalf of women-owned small businesses. 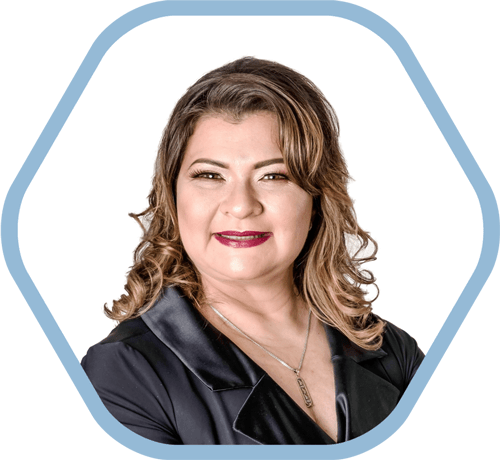 Claudia’s success and business savvy have garnered her interviews by leading business media such as Forbes and Fortune, as well as local media such as The Dallas Morning News, D CEO and Dallas Business Journal, just to name a few. It has also led to countless awards and recognition that highlight her impressive success. Claudia holds a business management degree from Cotecnova, Cartago, Colombia and is a graduate of the Tuck-WBENC Executive Education Program at the Tuck School of Business. In addition, she has a management certificate from the Southern Methodist University Cox Executive Education Program and a bachelor of science degree in business administration from the DeVry Institute of Technology. She is currently attending Harvard Business School’s Owner/President Management Program. “Enterprising Women of the Year” award from Enterprising Women magazine. Akorbi is helping to raise funds to build a new home for an 11-year-old girl in the Dominican Republic with a terminal illness. We found out about her through one of our team members who connected us with the orphanage, La Casa Rosada in Santo Domingo. They help children with this illness get the support, medical care and shelter they need. You can help by donating gently used clothing and shoes to La Casa Rosada or by going to this donation page. Ronald McDonald House Charities is a charity that is dear to Claudia and Azam Mirza’s hearts as well as the hearts of several Akorbi team members. This charity provides a “home-away-from-home” for families so they can stay close to their hospitalized child at little or no cost. The Akorbi family is proud to support other families in need. Most of you know Claudia Mirza as the CEO and co-founder of Akorbi, but did you also know she is a student, mother, mentor, philanthropist, and equestrian? This year, Claudia enrolled in Harvard’s Owner/President Management (OPM) Program. This is a 3-year program with 143 global business owners, which is focused on corporate growth, leadership expertise, and financial success. Anyone who has ever met Claudia knows she has a huge heart for people, especially her family. As a globe-trotting, CEO and entrepreneur, Claudia works hard to balance the demands of both the business, as well as her two boys. Claudia is passionate about helping children with special needs because her child was in critical health at birth. She supports orphanages and The Ronald McDonald House Charities. It could be argued that Claudia’s greatest contribution to Akorbi is the mentorship and encouragement she provides fellow women and working mothers at Akorbi. She is passionate about lifting women up and supporting them so they feel they can succeed at motherhood and in their careers. Outside Akorbi, Claudia loves to travel the world and inspire women by sharing her entrepreneurial lessons learned. In her free time, Claudia loves to spend time riding and training with her Paso Fino horses. She participates in competitions all over the US and shares a passion for riding with her young sons. Azam Mirza brings enthusiasm and expertise to his role as Akorbi’s president and co-founder. His commitment to innovative development has distinguished him as a business leader. He is responsible for strategy development and daily business operations, as well as technical initiatives for Akorbi’s comprehensive localization and translation services. Leading a network of global professionals, he has helped clients in multiple industries consistently achieve their business objectives. Through Azam’s unique blend of business and technology prowess, Akorbi has evolved into a premier global provider of localization and translation services. Azam’s extensive management and technical background includes experience in several vertical sectors including insurance, medical, systems security, finance, human resources, government, real estate and energy. He is well versed in enterprise technology architecture, system design and implementation. He has held leadership roles for a variety of technology programs for Cap Gemini Ernst & Young, Regus Management Group and ENSCO International. He has also managed national security projects for CACI, the Department of Defense and the National BioDynamics Laboratory. Azam holds a Master’s degree in Electrical Engineering from the University of New Orleans, with a focus on neural networks and routing algorithms. He also secured a Bachelor’s degree from Osmania University in Hyderabad, India. He is a graduate of Southern Methodist University’s Corporate Leadership Program. Azam is a self-proclaimed workaholic, but when he is not working on making Akorbi an industry-leader, he loves spending time with his family. He has two young boys who enjoy basketball and superheroes. With his family, he shares his passion for breeding, training and racing thoroughbred horses. Azam also enjoys giving back and supporting organizations like the Ronald McDonald House charities and the North Texas Food Bank because of how much they do to help families in need and sick children. He also pays for the college education of deserving students in India and Colombia, the countries he and his wife Claudia immigrated from. 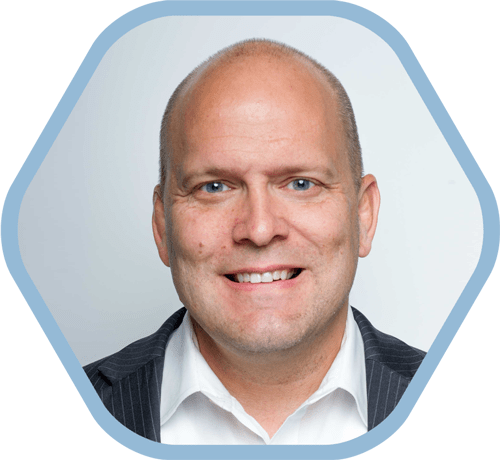 Kenneth (Ken) Anders has engaged in an array of character building and knowledge development roles from cryptographic intelligence with the U.S. military to executive roles within Fortune 500 companies such as Walt Disney, Raytheon and Misys Healthcare Systems to start up language service companies like CyraCom International. 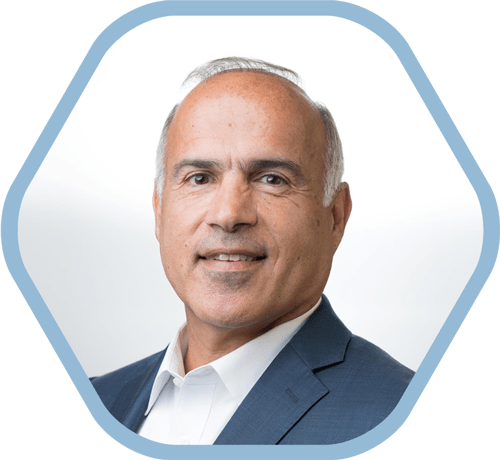 Ken entered the language industry as the first President and CEO for CyraCom engineering a blueprint for success introducing disruptive technology with the first dual handset phone and has had an impeccable track record since. He helped introduce video technology to the market for Language Line Services and led the development of global language contact centers both in the U.S. and abroad as COO for a division of TransPerfect, (a $550M linguistic services company). Ken is and has been member of national and international organizations and is a frequent key note speaker at industry conferences. With a passion for helping others, Ken has been a champion in the Language Services industry developing infrastructure for organizations like the International Medical Interpreters Association and the National Board of Certification for Medical Interpreters helping them achieve their objectives to insure the limited English proficient, and deaf and hard-of-Hearing populations receive quality care and services. Ken is committed to quality and expansion of interpreting standards across languages and served for four years as the Vice-Chair of the National Board as well as Treasurer. His efforts were partly responsible for recognition by U.S. representatives of the need for reimbursable expenses for language services in healthcare an effort still moving forward today. Throughout his career, Ken also served and continues to serve on several non-profit boards both as advisor, Director and Officer. As a seasoned executive with experience in business management, technology, Board governance, NPO, compliance and consulting. He brings a wealth of expertise with strengths in areas such as operational efficiency, concepts and development, technology integration and design, contract negotiation and management, and new product start-ups. Ken has solid domestic and international experience working within large corporations as well as direct oversight of new ventures. 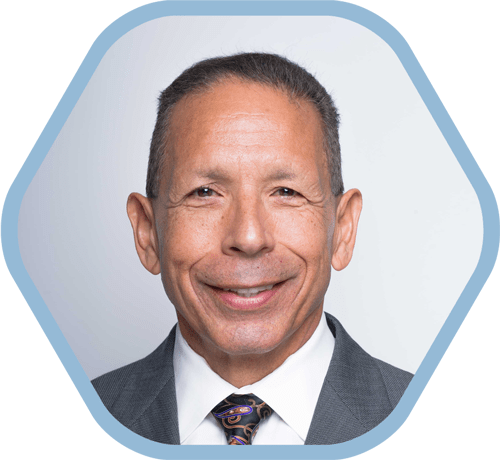 Jaime brings over 30 years of business acumen in the energy industry, with international exposure to financial planning and performance management, commercial negotiations, and joint venture management for major project developments and operations. Under Jaime’s leadership, Akorbi is building a solid growth path through a comprehensive strategic approach that includes a sound alignment and understanding of the value elements at all levels, as well as rigorous assurance processes in support of informed decisions. Jaime lives in Houston, Texas. He is an active volunteer during his spare time and works closely helping other members of the Latino community building business capabilities through workshops and public events. Jaime also enjoys a diverse range of outdoors activities from all terrain bicycling to Paso Fino horseback riding. As executive vice president of Akorbi, Dave Franklin is responsible for the overall vision and management of the company’s professional staffing division, including: operations, delivery, P&L, and business development. He joined the company in 2011 to develop and launch the division, which today serves a multitude of clients, from Fortune 500 companies to the Department of Defense, just to name a few. Dave has more than 18 years of staffing industry experience and has held numerous leadership positions throughout his career, such as: executive director of recruiting, recruiting manager and business development manager. His extensive experience has allowed him to develop deep relationships and long-lasting partnerships within the healthcare, information technology, financial, pharmaceutical, biotechnology, retail, energy/utilities and manufacturing industries. Dave was formerly employed by Robert Half International, Comsys and Allegis Group, where he earned numerous awards for driving business performance and his recruiting acumen. He has a proven track-record for developing recruiting organizations and has a reputation for excellence based on diligence, client satisfaction and strong business ethics. Dave holds a Bachelor’s degree in history from Longwood University and completed graduate-level finance and accounting courses at the Southern Methodist University Cox School of Business. His impressive 33-year career includes 14 years specifically in the BPO industry. During this time, Ralph has managed BPO operations for Fortune 500 clients in the financial, telecommunications, insurance and cable industries, as well as numerous other industry verticals. He’s supported a wide array of global companies, including Verizon Wireless, JPMorgan Chase, Capital One, Sears Financial Services and MCI – just to name a few. Ralph’s international experience includes managing service delivery teams in excess of 4,500 employees worldwide. And, his client and operational management experience has taken him around the world, including: Latin America, Canada, India, Australia and United Kingdom. Prior to joining Akorbi, Ralph led international services for several multinational organizations, including: Affinitas Corp., LiveBridge, Inc., HeroBPO and NW Natural. 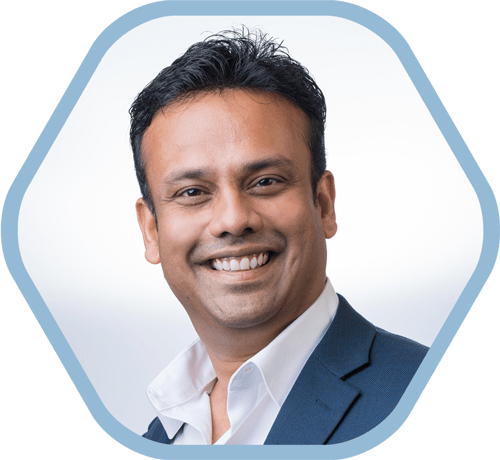 He has established a solid reputation for developing world-class service delivery platforms and for creating and managing high-performing customer service teams around the world. Ralph has a Bachelor of Arts degree in Business Administration with an emphasis in Marketing from Lewis and Clark College in Portland, Oregon. His post-graduate studies include the Management Development program at Northwest Natural Gas Co., as well as Marketing studies at the University of Oregon. As the vice president of business development, Edward is responsible for the development and support of new commercial opportunities in the U.S. and worldwide, as well as opportunities in the U.S. government sector. His focus is on providing services for telephonic, video, on-site interpretations, document translations and the Mobile App for translations and live interpretation on iPhone and Android phones. Edward brings more than 30 years of experience in sales, marketing, business development, channel management and business ownership. He previously served as the vice president of business development and marketing for Telelanguage, Inc., where he developed 15 strategic partnerships to market the company’s language and interpretation services both in the U.S. and worldwide. He also focused on account development in the insurance, medical, utility and legal vertical markets. Previously, Edward held account and partner management roles at Language Line Services and Frontier/West Coast Telecommunications. He holds a Bachelor of Science degree in marketing and business administration from California State University, Sacramento. 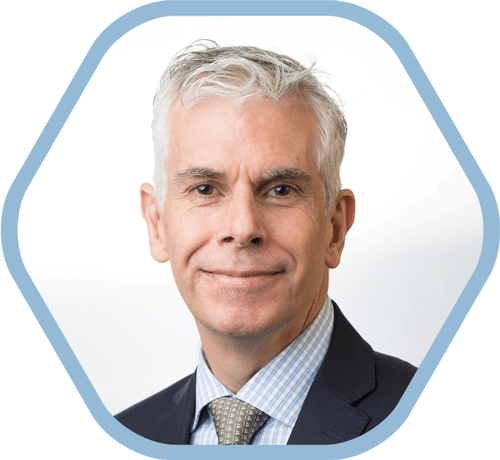 As VP of Innovation, David W. Rhodes oversees the development, deployment, maintenance and operations of the various technologies used by Akorbi’s family of companies. Most notably, David’s team oversees the ADAPT platform. Through ADAPT clients enjoy immediate access to video and audio interpreters, convenient scheduling of onsite interpreters as well as simplified translation project management. Over his 20 year career, David has developed a diverse knowledge base. As CEO of VRI Direct (a provider of video remote interpretation technology) David delivered one of the first SaaS video interpreting technology to the market of language companies. As Director of Operations for LifeLinks Video Interpretation Services, David coordinated and achieved 24/7/365 services for VRS and VRI language services. As owner of D.W. Rhodes Interpreting Services, David leveraged relationships with other interpreters to coordinate and deliver services to a variety of clients. 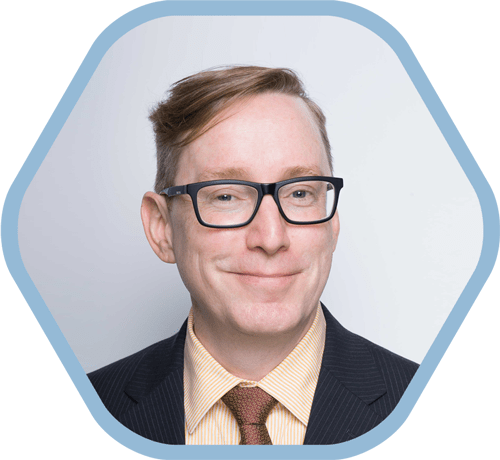 David comes to Akorbi with a wealth of experience in operations management, business development, B2B sales, contract negotiations and enterprise-wide software implementation, as well as diverse business functions. 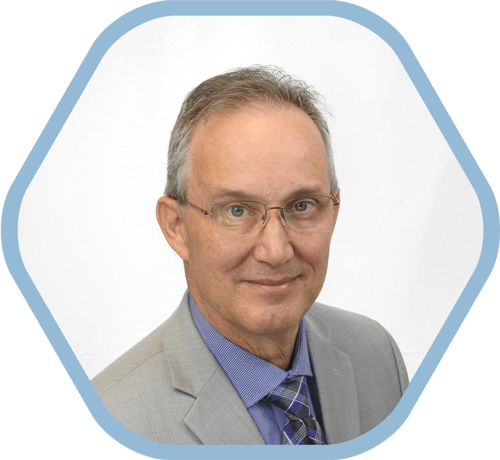 David has Bachelor of Science degrees in both Process Management and Marketing, as well as a Masters in Business Administration from Arizona State University. He was also a nationally certified ASL interpreter for 18 years. David is a man of many talents and loves to let other people talk about them, particularly his gift of music, cooking, and language. He is the lead singer and primary songwriter for his band, Big Finish, which performs regionally in Arizona. David is an avid home chef, and recently catered a company dinner for 27 of his Akorbi team members. He also enjoys travelling with his family. When traveling, David can be overheard butchering any number of foreign languages. Most people find it endearing since he is always so eager to learn and he assures us that his accents are great. His dream vacations include snowboarding around the world, scuba diving in exotic places, and eating at Michelin Star restaurants around the world. 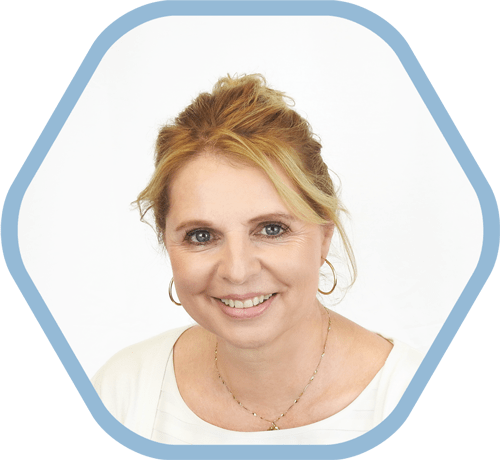 In her role, as the Vice president of Translation at Akorbi, Vera is responsible for the continued excellent delivery to Akorbi clients as well as for expending the Translation services to help companies bring their products to Worldwide markets. Vera’s 20 plus years localization experience spans various positions from Translator, Localization engineer, Project manager, Group manager and Program director, with the past 10 years at Moravia IT. Vera is joining Akorbi to lead the translation business during very exciting dynamic times of growth. Under Vera’s leadership, Akorbi translations is increasing agility, utilizing the latest technology and building up the supply chain to partner with clients to bring in solutions to make their products feel native in any international locale. Vera lives in Seattle, Washington with her husband and her 3 children nearby. She enjoys spending time outdoors, going on hikes, gardening, playing tennis and taking day trips. Vera is from the Czech Republic and often travels back to Europe to visit family and friends. Languages, reading and history are Vera’s hobbies. 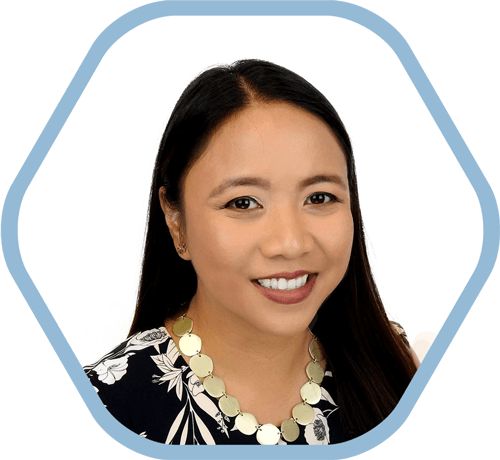 As the director of customer relations and account development, Maria Clara is responsible for quality assurance, delivery operations and major project initiatives. 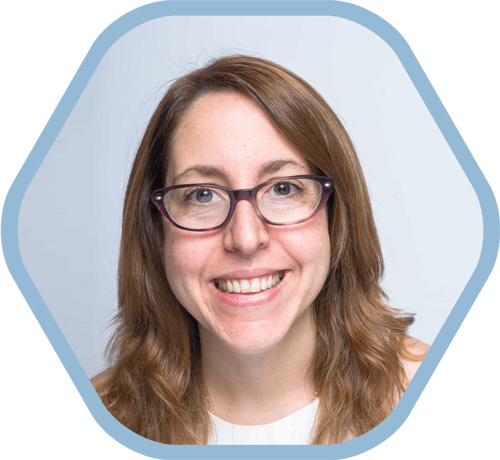 She works with project managers to develop and implement customized and streamlined processes for large client projects, manages project deadlines, and ensures Akorbi’s services and solutions meet client’s needs. 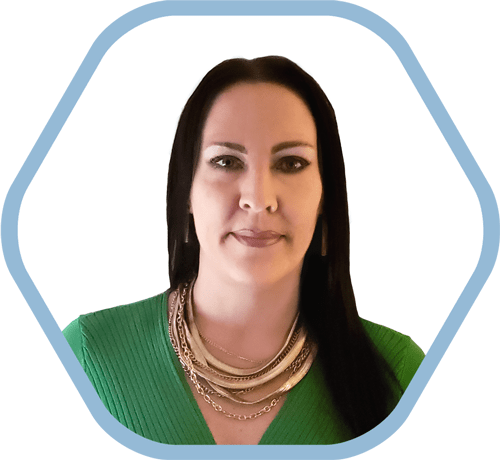 With 11 years of experience in translation services, Maria Clara has a unique expertise in the requirements and quality measures of a translation project. Leveraging her years as a Spanish-language translator, she is directly involved in the testing and selecting of Akorbi’s translators for the Spanish language. Prior to joining Akorbi in 2005, she worked as a freelance translator, serving the pharmaceutical, arts and marketing industries. She was additionally a university English instructor in Argentina. Maria Clara graduated with honors from Belgrano University (Universidad de Belgrano) in Argentina with a Bachelor’s Degree in English-Spanish translation and a specialization in legal, literary and scientific subjects. She also earned a certification as an art dealer from the Instituto Superior Dante Alighieri. Maria Clara’s family is from Italy, and she’s very proud of her Italian roots. She speaks Italian every chance she gets, especially when she’s with her family. She also loves to celebrate Italian traditions with her two small children. As Akorbi’s Controller, Maureen Maranca is responsible for managing day-to-day accounting operations (including accounts receivable, accounts payable and payroll), financial reports, internal processes and controls, audit requests and compliance. Maureen’s impressive 14 year accounting career includes roles as audit manager, accounting manager and controller with global companies such as Pinnacle Group, eVerge Group, 7-Eleven and KPMG. Maureen has a Bachelor of Science degree with a Major in Accounting from the University of Santo Tomas. Maureen was born and raised in the Philippines. These days, she stays very active in her spare time raising three young children with her husband Xavier. However, she also finds time to support her favorite charity, UNICEF, because of her passion for helping children in need of food, shelter and an education. As Vice President of Akorbi BPO and Contact Centers, Mario Gomez brings more than 10 years of management and operational expertise to Akorbi BPO. Based in the company’s Santo Domingo, D.R., headquarters, he is responsible for leading Akobi BPO LATAM operations and business ensuring the successful execution of business process outsource (BPO) and new client relations. In his previous role he was responsible for leading nearshore operations and ensuring the successful execution of business process outsource (BPO) and contact center performance. Mr. Gomez is a proven leader in the customer service and call center industry with extensive experience managing operations, improving call center performance, and developing customer management strategies across global organizations. Mario developed a consistent history of operational excellence and revenue generation to nearshore, and along with the company’s seasoned executive team, they drove growth by delivering “world class” services, as a result of his commitment and dedication. In return, he helped create many opportunities and value for employees, clients and our customers. Under Mr. Gomez’s leadership, AT&T U-verse has dramatically expanded its operations in the Dominican Republic and has led AT&T’s performance to #1 amongst offshore vendors globally. Prior to joining Nearshore CC, Mr. Gomez served as Service Delivery Manager of Operations, Stream Global Services. He successfully managed all of customertechnical support for millions of Nikon USA, Western Digital Corp. and Sony Ericsson Mobile customers worldwide. He also helped grow Stream’s City Center site from 40 to over 240 support staff members in an 18 month period. With the help of a committed staff Mr. Gomez improved customer satisfaction over 20% while maintaining operating costs for Western Digital Technical Support and subsequently continued to win additional WD business such as Stream’s first ever Social Media account amongst other services. In addition to his work as Service Delivery Manager of Operations, Mr. Gomez spent two years as a Quality Manager at Stream for three sites in Santo Domingo, managing Quality for several of Stream’s top accounts such as Office Depot, Direct TV, Time Warner Cable and Sirius XM. He had several success stories in the Quality field under his direction such as #1 in customer satisfaction for Office Depot and NEW’s Direct TV by introducing his trademarked customer satisfaction predictor concept. A native of Brooklyn, NY., Mr. Gomez holds an accounting degree, from the New York Technical College in Brooklyn, NY. Maria Jimenez received her Executive Masters in Business Administration fromTexas Women’s University and a Bachelors of Business Administration in International Business from University of Texas at Arlington. She is Mexican American, born in Nuevo Laredo, Mexico and raised in Corsicana, TX. Maria has several years of experience in HR from companies like Entercoms, Target and INROADS. Her experience not only includes HR, but also recruiting and training new HR Managers as well as, being a Client Manager/National Recruiter. Maria enjoys volunteering and helping the community. She currently sits on the Executive Board as Secretary for Zoey’s Angels based in Houston, TX. As Akorbi’s Director of Marketing, Sarah is responsible for managing and developing Akorbi’s brand strategy across all business units. She works with internal and external clients, as well as industry partners, to build brand awareness and brand equity. 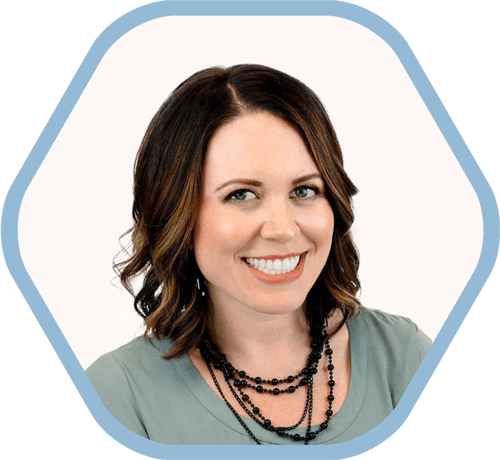 Sarah has a Bachelor of Arts degree in Integrated Media Arts- Marketing from Pacific University and over 14 years of marketing experience. Sarah is the President of the American Marketing Association Tucson Chapter and has been an active member for over 4 years, holding various board positions during that time. Sarah lives in Tucson, Arizona with her husband and two young sons. Her boys are active in baseball, soccer, and basketball, filling most of her free time with being their number one fan. As the Director of Interpretations, Debbie is responsible for the implementation and development of business practices, processes, and efficiencies within Akorbi language service division. She oversees the departments from the linguist selected, to the technology platform of ADAPT, to the services provided, onsite, telephone, and video interpretation to clients needing language support. She oversees our partners, vendors and interpreters to ensure they are meeting the compliance requirements under Medicare & Medicaid Services and Section 1557 of the ACA.